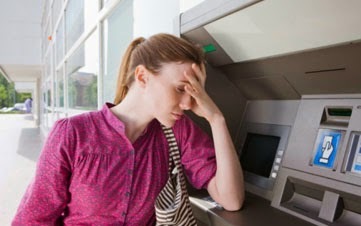 No one likes to pay bank fees; it really does feel as though it’s just wasted money to most people. There are ways you can avoid hidden bank fees and charges – banks are required to be transparent with their fees, and many banks like BOQ now offer fee-free transaction accounts like day2day that allows you to avoid fees entirely. You should always read the fine print to ensure the way the product works actually suits you and the way you earn – and spend – money. For example, some transaction accounts are only free if you maintain a minimum balance. Here are a few more bank fees you might not be aware of, and tips for avoiding them or reducing their impact. While your bank won’t charge you to use their ATMs, other banks will charge you for accessing your account through their ATM network. This is because you are not their customer. Is there a way to avoid this? Actually, there are a couple of things you can do. First, you can avoid using ATMs that belong to other banks. This may be difficult if your lender is an online bank with minimal branch or ATM presence. However, many online and smaller banks now offer access to your funds from other institutions’ ATMs, and you do not have to pay a fee. If your bank is one of those without many branches or ATMs, ask about deals like this, and also get their advice on how to avoid paying ATM fees in future. Do you have a chequing account? Do you need a chequing account? Of course, many small businesses have these accounts and do need them, using them for business transactions on a day-to-day basis. But cheques are one of the most expensive ways to move money around, and the slowest. If you do not really need your chequing account, consider getting rid of it altogether. Every cheque written attracts a fee; every cheque processed also attracts a fee. Talk to your bank – you may be surprised at just how much your chequebook is costing you. If you really do need and use your chequebook, see if you can minimise your use of it. Are there bills you can pay by credit card or Bpay? Can you have any incoming monies deposited directly into your accounts? At the very least, you’ll want to check out your options on this one. Finally – talk to your bank. If you find you’re losing a little of your hard earned money every week or month via bank fees, head on in and front them about it. Ask them how you can pay less in bank fees and see what they have to say. You may find they waive a fee or two simply because you asked – it can’t hurt to try. Bank fees are the bugbear of almost every banking customer, but you don’t have to wear all those costs all the time. Talking it out with your bank can make a difference, as can ensuring you’re not paying for account features you don’t really use or need. Do you have any tried and true methods for avoiding hidden bank fees? If so, share your insights in the comments box below.